The HPA luncheon was an intimate lunch for 25 Micro Brewery international VIP guests, event managed by Dig and Fish. 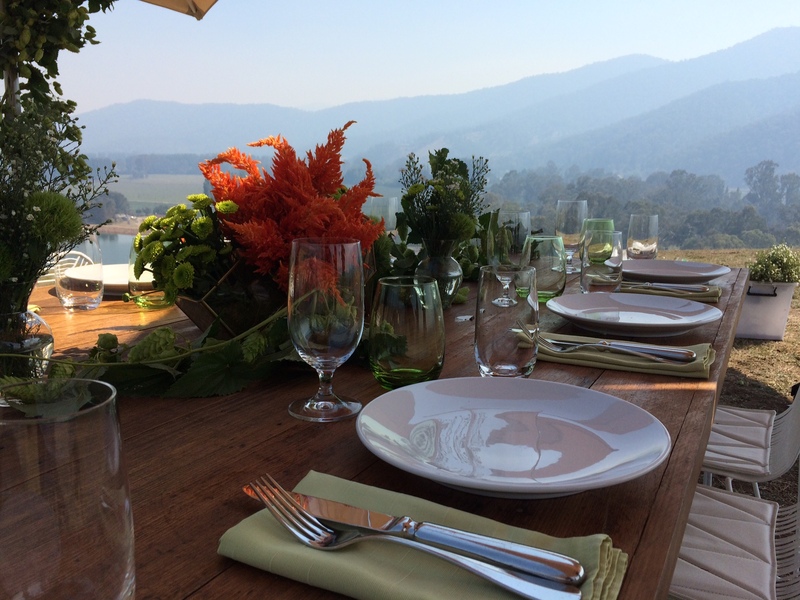 Our client hosted the luncheon on a remote hill top at the Rostrevor Hops Farm in Bright. Our brief was a cotemporary design within a farm setting using hops and colours from the HPA logo. We had to be very practical with our design and take into account the uneven ground, heat, wind and sun. Heat tolerant flowers and umbrellas were used as well as hairs and tables that could cope with an uneven surface.